The best use we can make of a hideous, painful, and morally outrageous event like the Irish referendum result is repentance. Private repentance is always positive, but I would myself like to do something with a public manifestation, and to do this in collaboration with others, if anyone is interested. It is a truism to say that penance is undervalued in the Church today. There is something amiss when one sees in the texts of the liturgy references to 'our fasts' and 'our mortifications' on days when no fasting or mortification is any longer required by the Church: this was the case on Saturday, the Ember Saturday of Pentecost. 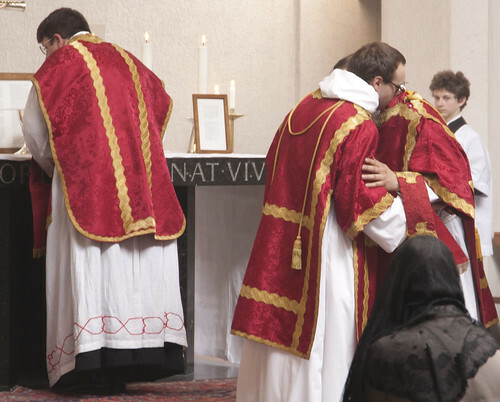 It is not just a matter of the dramatic cutting back on fast days since Vatican II, and not even the excision of references to sin and penance in the Novus Ordo, however: the problem goes further back, and penetrates the Church more deeply. Spare, O Lord, spare thy people, and be not angry with them for ever. In addition to this, and for laity as well as priests, I have an idea, or the seed of one, for which I'd like to test wider support, of organising two (sung, traditional) public Masses a year in reparation for abortion and other manifestations of the culture of death. One would be a Votive Mass of Our Lady of Guadalupe, which is celebrated in the USA on December 12th (and for that reason can be celebrated anywhere as a Votive Mass). Our Lady of Guadalupe, who is Patron of the Americas, has very appropriately been adopted by the Pro-Life movement as her miraculous image is of her during her pregnancy. I would ask for this to be celebrated on or close to her feast day. The other would be a Votive Mass pro remissione peccatorum ('for the forgiveness of sins'), one of the Votive Masses found in the 1960 Missal. To give a flavour of the texts, the Gospel of this Mass is Luke 11:9-13, 'Ask and you shall receive'; the Gradual is Ps 78: 9-10: 'O Lord, forgive us our sins: Lest they should say among the Gentiles: Where is their God?' I would aim to have this celebrated at the other end of the year, in June: so, quite soon. 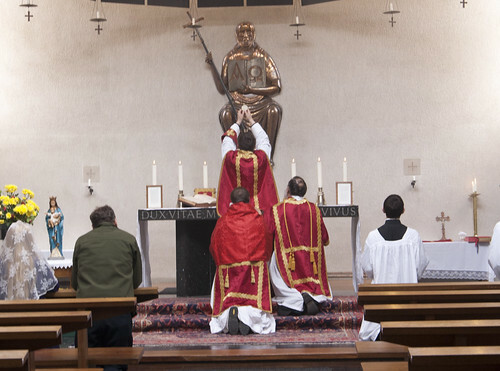 As the Representative of the Latin Mass Society in Oxford area, and the manager of a chant schola, it is a fairly simple matter for me to ask one of our many excellent priest supporters in the area to celebrate these Masses, to arrange chant accompaniment, and to advertise it locally. The cost would be minimal. 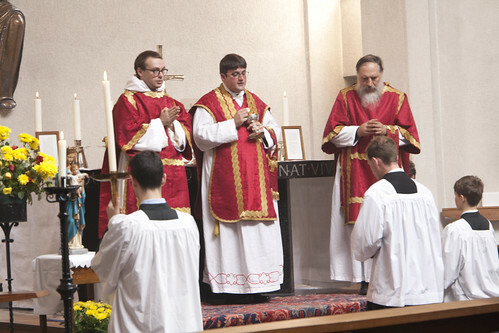 However, if there is real support these Masses could be celebrated with more solemnity, with solemn ceremonies, with polyphony, in London, or in multiple locations. Each celebration of Mass has infinite intrinsic value. This means that two Masses do not have greater value than one. 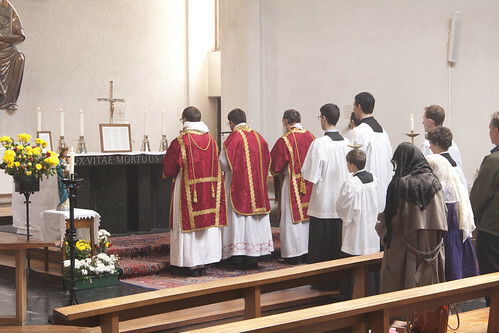 The reason we have multiple Masses celebrated for an intention is because in addition to the intrinsic value of the Sacrifice of Calvary which is re-presented in the Mass, there is the 'extrinsic' value of a Mass, the value of its prayers and the prayers of those who attend it. It is in this sense that we say that a Mass celebrated with reverence is better than one with abuses; a Mass celebrated with greater solemnity is better, in this sense, than one with less; many Masses, involving many different people, are better than just one. The principle reason for suggesting two Masses a year for this intention is to keep the cause in our minds, our hearts, and our prayers. I know lots of people do lots of things with this purpose: in England an outstanding example is the Rosary Crusade of Reparation in London, a procession from Westminster Cathedral to the London Oratory. I would like to add to these existing initiatives something which represents the specific contribution the Traditional movement, and the network represented by the Latin Mass Society, can make. I'll make a start with this idea locally and quietly but if there is wider support I'll make more of it in the ways I noted. In particular, if Masses are to be said with professional choirs financial contributions will be needed, and if they are to be said in additional places, more people will have to take on the organising. 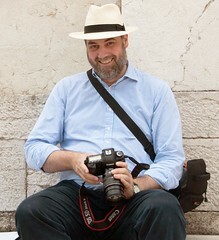 If you'd like to help email info@lms.org.uk with 'FAO Joseph Shaw' in the subject line. Photos: Whit Saturday Mass celebrated in Holy Rood, Oxford, by Fr Daniel Lloyd, with Solemn ceremonies and in the 'long form', i.e. the full set of readings specific to this day. It was accompanied by the Schola Abelis of Oxford with chant. Excellent idea. Perhaps why not add a triduum of fast days + Rosary, leading up to each votive Mass? Perhaps the Rosary Crusade needs to take a different route this year and stop outside the Irish Embassy. What about offering this year's walking pilgrimage to Walsingham in reparation and intercession for Ireland?